Do you fancy uprating the bass in your car audio but you’re suffering from limited space? You’re in luck because shallow mount subwoofers are perfect if you’ve got a truck or sports car, anything compact with insufficient space to accommodate a full-bore set of subs with a bulky enclosure. We’ll walk you through 7 of the best shallow mount subwoofers in a range of sizes and at varying price points so you can crank up the bass without eating up too much space. 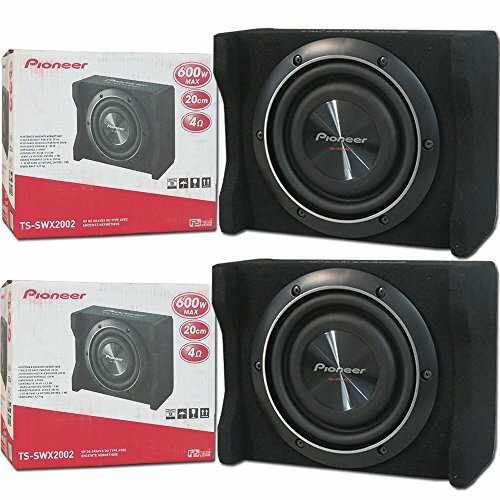 2 x Pioneer TS-SWX2002 Car Audio 8-inch Shallow Mount Subwoofer Pre-Loaded Enclosure 600W 8"
What Are The Advantages of Shallow Mount Subwoofers? What Are The Drawbacks of Shallow Mount Subwoofers? Pioneer has gatecrashed the shallow mount subwoofer party with its recently released TS range. These dinky 8” subs harness a range of innovative features to serve up healthy levels of bass in a diminutive package ideal for compact vehicles. We’ve included this Pioneer 8-incher because some people aren’t looking for ear-crushing bass at the expense of a colossal unit taking up half the back seating. Be realistic about your expectations and this nimble little sub is more than fit for purpose. And size is perhaps its key selling point. Easy to install and demanding very little room, you can enjoy a deep and loud enough sound at a very reasonable price point. Lacking space for a sub needn’t mean losing out altogether. 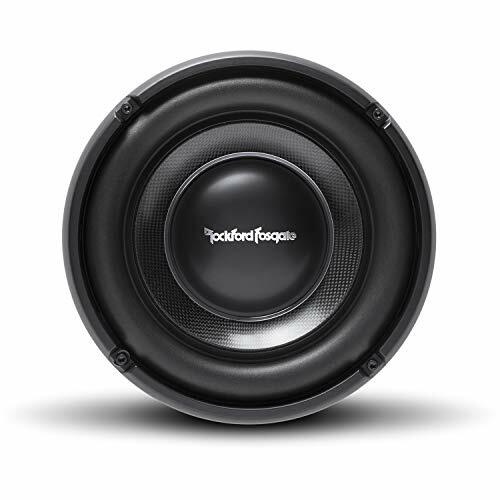 Rockford Fosgate, a household name in the car audio industry, gives you great bass from inside the car with these 10” subs even if you won’t be rocking and thumping from the outside. And as they say, it’s what’s inside that counts. Everyone has differing needs with subwoofers. If you want to kick out bass that heralds your arrival from a mile away, look at something more powerful. If, on the other hand, you’re after a deep and rich sound that resonates inside the cabin, these Rockford Fosgate are ideal. Boxing your subs in a sealed enclosure can cause too much heat to be generated. An aluminum frame with heat sink fins keeps the temperature down even under heavy load. Despite only needing a 3” mounting depth and redefining shallow, these 12” subs have 500 watts RMS power deliver a crisp and clear bass across all genres of music. For any audiophile looking for maximum bass projection with the smallest possible footprint, these Pioneer 10” shallow mount subs are the optimum solution. You can push the power without compromising sound quality and you won’t need to dig too deep for the privilege. With a max rating of 1200 watts and 100 to 300 watts of RMS power, the Pioneer 10-incher packs a lot of power in a miniature package. Although very shallow, you might need to break out the jigsaw when installing it since most sub box holes are 9 ¼” while the Pioneer measures up at 9 ¾”. The resin cone has mica injected into it. This augments the strength while amplifying the sound quality. 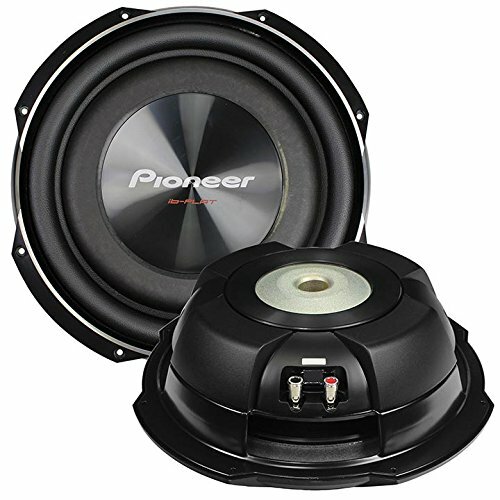 For an imposing bassline with highs and lows all easily picked out, this 10” sub outperforms many larger, pricier models. You’ll be able to push this sub to its limits thanks to the combination of RMS power range and decent max power without losing out on clarity as you crank it up. If you’re a car audio fan, you’ll be well aware of Kicker’s hard-won reputation for producing comp-grade subs with affordable price tags. This 10” shallow mount is compact enough for small vehicles while still providing thumping bass and excellent power handling. Make sure you enclose your Kicker in a sealed box and you’ll sidestep its only real downside, the fact sound can seep out from vented enclosures. 400 watts of RMS power and 800 watts at the top end translate to a sub that’s small in stature but certainly not in terms of sound quality. The SoloKon cone and Santoprene surround are surprising additions on a relatively inexpensive 10” sub. Performance is optimized and the build quality is more than you’d expect from a subwoofer in this price range. Although RMS power counts more than peak, the fact the Kicker maxes out at 800 watts gives you confident sound handling and a really thundering bass wrapped up in a compact, convenient little package. Alpine don’t make the cheapest audio equipment but not everyone is looking for the cheapest sub. This 12” still qualifies as a shallow mount while ramping up the power quotient nicely. First-class build quality and agile power handling come together to give you a hard-hitting subwoofer that won’t dominate your vehicle. 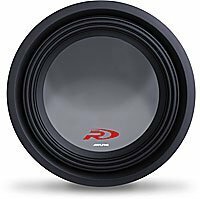 Alpine’s Type R subs work well for recreational use giving you more than sufficient bass without you dipping out on sound quality or needing too much space for installation. 600 watts of RMS power and a top end of 1800 watts allows you to telegraph your presence as you roll into sight. The level of bass from such a small sub is quite unexpected. While this woofer is compact enough to slip stealthily into even smaller vehicles, build quality and overall strength means it should last the distance rather than letting you down if pushed too hard. Decent frequency range and sensitivity complete this enticing bundle of audio joy. 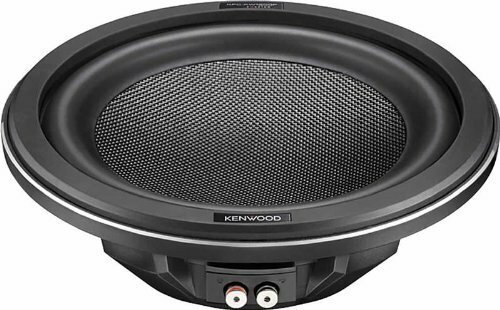 The final 12” sub we’ll look at today, Kenwood’s contribution to the shallow mount party is attracting a legion of dedicated followers. 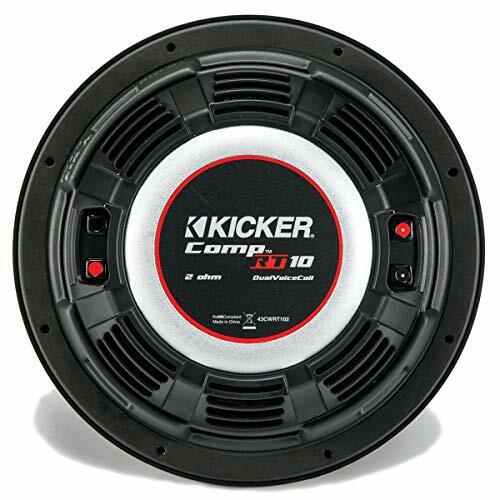 If you have a truck or any vehicle with limited interior real estate, these compact woofers come sailing to the rescue. While they take up a little room, you’ll still have space for passengers in back as you rattle out that bassline. The flexible power range of 50 to 350 watts RMS means you can pump out some serious bass without losing clarity. The only negative is that these subs can find it tough to handle super-low bass frequencies. The cone is made from a carbon-glass fiber composite while the surround is rubberized. This attention to detail boosts the sound quality while protecting your investment from being knocked around a little. If you’re looking for some subs that are easy to install even in restricted spaces, demand very little breaking in and reward you with a vibrant and crisp sound all day long, think long and hard about these Kenwood 12-inchers. Last but by no means least, the legendary JL Audio have a superb off-size 13.5” sub that slots neatly into the shallow mount category. Demanding only the smallest of sealed enclosures and packing a very considerable punch, this sub is perfect if you have a compact vehicle but you’re not prepared to settle for a restrained bassline. JL Audio is renowned for catering to audiophiles without extracting a king’s ransom for their gear. This 13.5” shallow mount continues that tradition. RMS gives you 600 watts of continuous handling while peak power is 1200 watts. This means you’ll get loud and full-bodied bass with rounded low notes. The frequency response at the very low end is the only meaningful drawback. In return for this exceptional sound quality, you won’t need to sacrifice too much space inside. With a mounting depth of just 2.5”, this sub will slot in where you’d normally only fit a smaller 8” model. For an accurate and rich sound, fantastic build quality and a price tag that won’t bankrupt you, the JL Audio 13.5-incher deserves its place on any list of the best shallow mount subwoofers for your car. For general advice on buying the best subwoofers for your car, check out our detailed guide here. There are several key factors to bear in mind if you’re specifically looking for shallow mount subwoofers, though. We’ll walk you through the pros and cons of this style of sub then look at where to place them for best effect. We’ll also look briefly at the different sizes at your disposal. With shallow mount subs, placement is super-simple. Trunk: If it’s not practical to house your subs on the rear deck, place them in the trunk. This leads to you feeling the music more than hearing it. The pulsing bass will thump throughout your vehicle and you’ll get the loudest sound from outside the car. Size matters when it comes to subs but it’s not the only important factor. There’s absolutely no right or wrong answer to sizing and you need to think about what you want rather than seeking a generalized solution. 8” – The smallest sub, don’t write off 8-inchers completely. Clearly, you won’t enjoy the thudding bass a beefier model will produce. On the upside, soft and light bass and rapid sounds come out beautifully from smaller units. 10” – For a rounded sound that will cope well with fast-paced sounds while also added a little more depth to proceedings, 10” subs are a wise bet. 12” – Anyone looking for more bass in a sub capable of dealing with a broad spread of frequencies should think about 12-inchers. The drawback here is that they don’t acquit themselves well with the quicker sounds of rock or metal. For hip-hop heads or dance music fans, though, this size sub is the connoisseur’s choice. 15” – Unless you’re looking to enter audio competitions or you really want to make a statement when your car is approaching, the sheer volume generated by 15” subs is probably unnecessary for most needs. Don’t make the mistake of thinking you must go large. Only roll with 15-inchers if you feel it makes sense for you. Also, 15” can hardly be termed shallow mount so for the purposes of this article, we’ve focused on 8” to 12” subs. 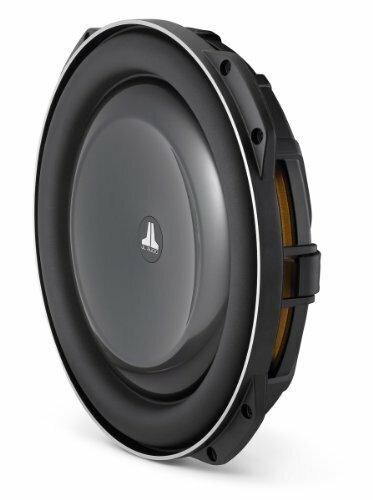 We hope these shallow mount subwoofer reviews have given you some inspiration and the encouragement to enhance your car audio without needing to outlay a fortune. If you think carefully about your budget, your specific requirements when it comes to the sound quality you’re looking for and the size of the sub to match this, getting the best shallow mount subwoofers should be a cakewalk.